Thankfully, after many long hours of debate and negotiations at the state capitol, the California Legislature passed SB 350 (De León) last Friday. The California State Assembly passed the bill, with a 52-26 vote with bipartisan support before passing it on to the senate where it was approved in a concurrence vote. This bill increases California’s renewable energy mix to 50 percent and doubles the energy efficiency of existing buildings. Both of these provisions will serve to combat dirty air and fight climate change, while ushering in a new era for the state’s electricity system – one defined by a cleaner, more resilient, and dynamic electric grid. As many have reported, SB 350 had an additional provision to cut the use of petroleum in California by 50 percent over the next 15 years, an approach that would have reduced the state’s reliance on imported fuels. However, that provision was removed from the bill before being passed out of the legislature. Even without this portion, SB 350 is still a strong demonstration of the state’s dedication to fighting climate change. 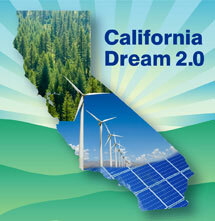 Raising the renewable portfolio standard (RPS) is a major yet doable step for California. The state has steadily progressed towards this goal since the legislature passed the first RPS of 20 percent in 2002 and increased it to 33 percent in 2005. With SB 350 pushing it to 50 percent, the proverbial glass is now more than half full with opportunity. The increase in the state’s renewable energy production builds on past standards, while also adding exciting new dimensions. Namely, it looks at how to combine renewables with other technologies to build a clean electric grid that will benefit all Californians for years to come. For example, the existing RPS has been incredibly successful at getting a wealth of solar energy up and running in California. 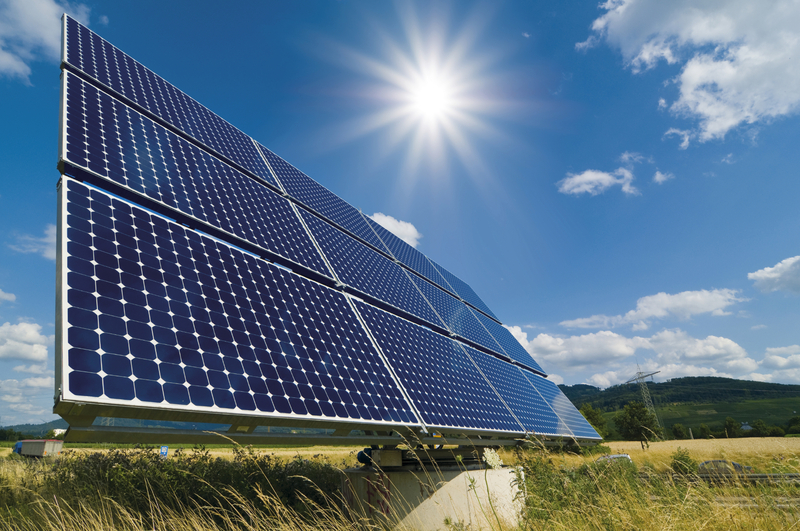 This valuable clean energy resource is available in the middle of the day, when the sun shines its brightest. In fact, California has made solar so abundant that it sometimes outshines demand during the middle of the day, while other resources are required to meet electricity needs in the late afternoon and early morning. This opens up an opportunity for renewables like solar to work with other clean energy technologies to balance supply and demand, building a clean electricity system on a large scale. Demand response — This energy conservation tool rewards people and businesses for reducing stress on the electric when it’s needed most. By combining energy automation technology, like two-way programmable thermostats and market signals to reduce or increase energy use at key times, Californians can begin to shift their energy use to times of day when clean energy is plentiful. For example, on the hottest day of the year in the middle of the afternoon when everyone’s pumping their AC, utilities can send homeowners a signal to shift non-essential appliance use (like running the dishwasher) to times of day when use electricity is cleaner, like at night when wind energy is abundant. Electric vehicles —Like mobile batteries, electric vehicles can be used to store renewable energy. Cars charging at an owners’ work place can gulp down solar energy to expend it on the drive home, lowering costs for drivers. Energy storage — Similar to electric vehicles, energy storage works essentially the same way as traditional batteries. People charge them when power is clean and plentiful, and use them during “peak” hours, when demand and stress on the central electric grid is at its highest. SB 350 also places a greater focus on clean energy in disadvantaged communities and communities of color, often the most affected by pollution from the energy sector. With the combined focus on renewables, integration, and energy efficiency, SB 350 can help Californians manage their energy use and their utility bills, while supporting California’s clean tech sector. Reducing air pollution and mitigating climate change is an important goal – one that SB 350 can help achieve. California is, for the first time, figuring out how all the building blocks of a clean energy system fit together – renewables, customer-side resources, and other low-carbon resources – and it will set an example for the rest of the nation. SB 350 is the product of extensive, thoughtful negotiations between government, business, and environmental experts across the state. With the support of progressive utilities, like Sempra Energy and other clean energy companies dedicated to delivering clean energy resources to the people of California, these efforts have resulted in the strongest targets in the U.S. SB 350 is now poised to deliver California into a cleaner 21st century. This entry was posted in Clean Energy, Climate, Demand Response, Energy, Energy Efficiency, General, Politics and tagged Renewable Portfolio Standard, RPS, SB 350. Bookmark the permalink. Both comments and trackbacks are currently closed.